A doctrine is a set of beliefs and principles that guide the actions of military forces in support of a nation’s objectives. According to C. Von Clausewitz in On War: “Doctrine is a guide to anyone who wants to learn about war from books: It will light their way, ease their progress, train their judgement and help them to avoid pitfalls. Doctrine is meant to educate the minds of future commanders… not to accompany them to the battlefields.” Nuclear doctrines are not written in stone and are never absolutely rigid. They are not binding international treaties that must be adhered to in letter and spirit. The purpose of doctrine is partly declaratory — that is, to enhance deterrence by making public one’s intentions; partly to provide the basis for organising a country’s nuclear force structure, including the command and control system; and, partly to reassure one’s own people and, where applicable, one’s allies. If deterrence breaks down, publicly declared doctrine becomes irrelevant and goes out of the window. During a crisis involving nuclear exchanges, the essence of national military strategy would lie in preventing escalation and minimising civilian and military casualties and material damage while ensuring the survival of the state. The Political Council of the Nuclear Command Authority (NCA) will decide how to retaliate based on the advice given by the Executive Council, of which the army, navy and air force chiefs are members. The method and mode of the retaliation will take into account the prevailing operationalstrategic situation and the likely responses of the adversary, especially the probability of further nuclear exchanges. The assessment will also include the reactions of the international community — the threats held out, the appeals made and the course of the discussions held in the United Nations Security Council. Almost 14 years have passed since India’s nuclear doctrine was approved by the Cabinet Committee on Security (CCS) after reviewing the progress in the operationalisation of nuclear deterrence. The doctrine was enunciated in the Government of India statement issued on January 4, 2003. Since then, many new developments have taken place, including the development of “full spectrum deterrence” by Pakistan. Hence, a review of the nuclear doctrine is long overdue. In fact, a review should be carried out every five years. In its manifesto for the general elections of May 2014, the BJP had promised such a review, but no move appears to have been made in this direction so far. 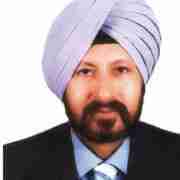 Brigadier Gurmeet Kanwal is Distinguished Fellow, Institute for Defence Studies and Analyses (IDSA), New Delhi and Adjunct Fellow, Centre for Strategic and International Studies (CSIS), Washington, D.C. He is former Director, Centre for Land Warfare Studies (CLAWS), New Delhi. His books include Nuclear Defence: Shaping the Arsenal; and, Indian Army: Vision 2020. This article was first published in the Indian Express, November 16, 2016 and is reproduced here with the permission of the author.